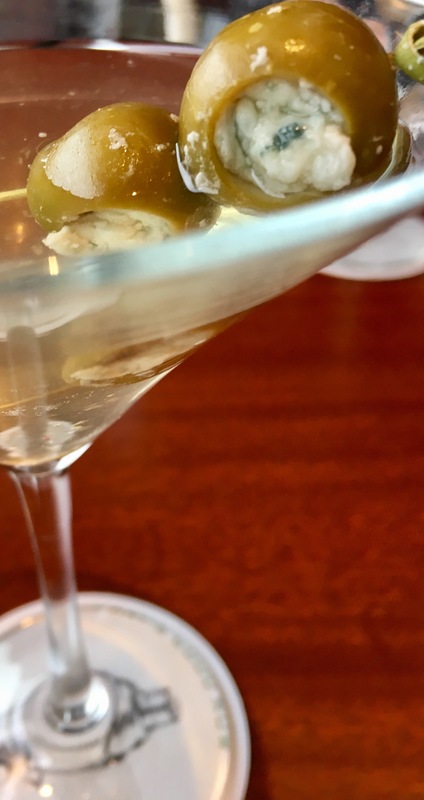 The Dirty Martini – Eat, Drink, and Go! I don’t remember my first. I remember several special ones along the way. And although they’ve all got their slight nuances depending on their maker, the dirty martini is my favorite cocktail. I’m not alone in my affection for this oddity – olive juice in a beverage? Some would say gross. Others say yes!! I’ve come to believe that those who lean toward the finer foods with more refined pallets steer away from the fruity sweet-tinis and vere toward the salty brine. But this isn’t a scientifically studied stereotype (yet), just my own observations. Either way, the dirty martini deserves it’s props on my blog this morning. Yes, of course I had one last night. So I thought I’d share my favorite recipe. Grey Goose is my favorite vodka to use. Ok, that’s the biggest part of this drink. 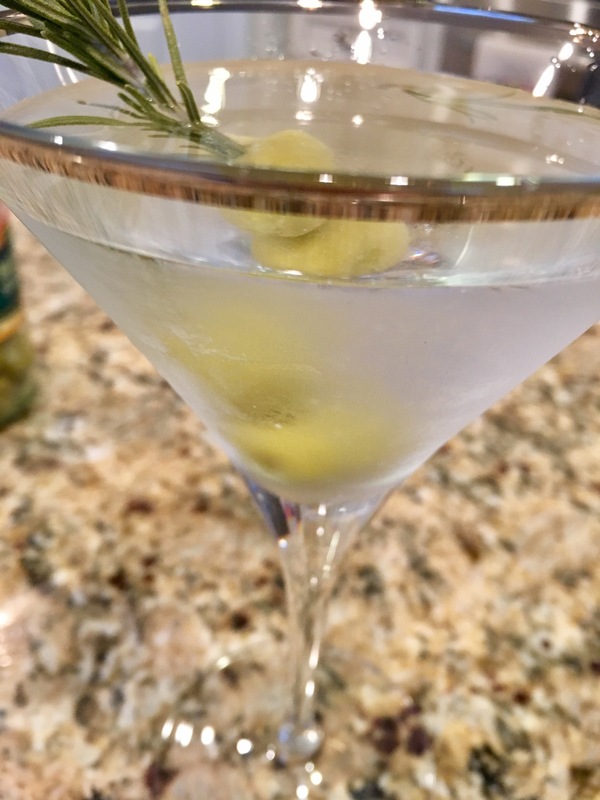 I know the traditional martini has a splash of vermouth, but I don’t usually use such. I don’t mind it, I just don’t usually use it since I rarely have it on hand. I do splash in olive juice, of course. 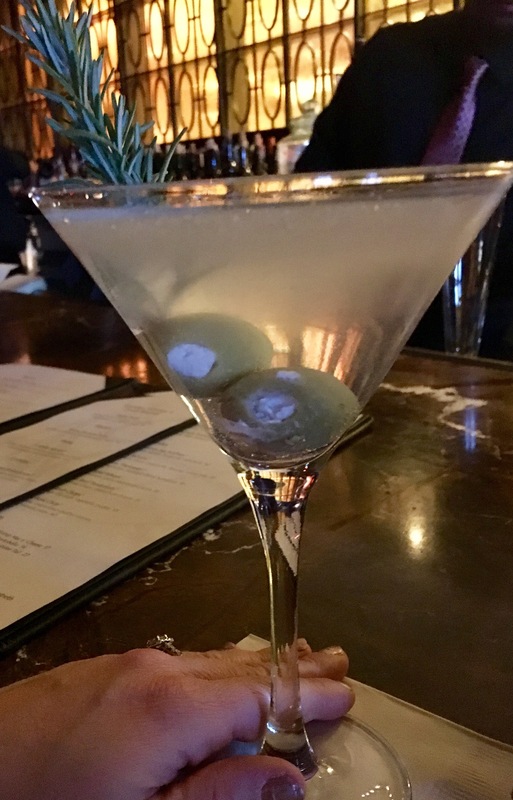 And my favorite garbage (bartender term for “garnish”) is blue cheese olives threaded along a Rosemary sprig, which I learned from the bar at Olives in Las Vegas (pic below is the martini at Olives). I do love bar tending at home. I took a bartending class in college for fun and just love mixing things and trying to make the perfect drink for the occasion. Whether it’s a special occasion or just a Wednesday night happy hour, all drinks have their time and place. 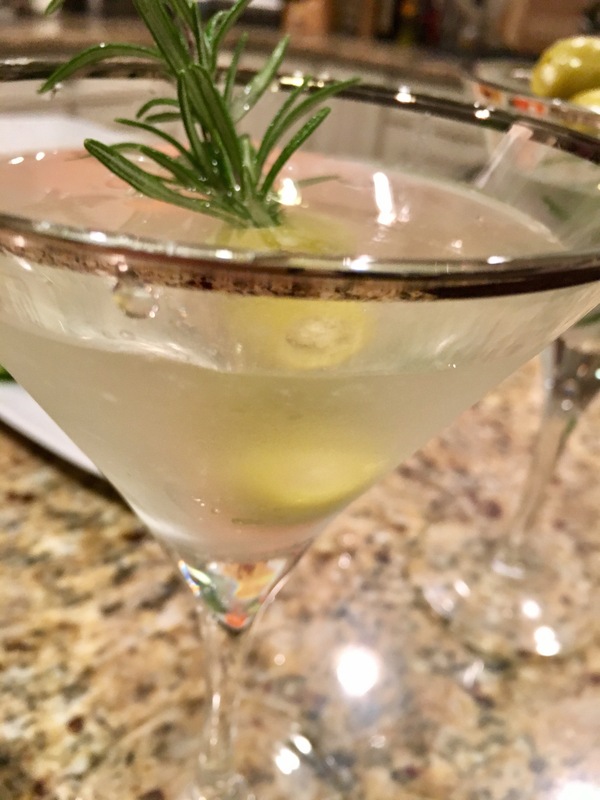 I often go seasonal with martinis, like the cider-tini I wrote about this past fall. Or a cucumber martini in the summer, if I haven’t written about that before, I’ll be sure to do so if the weather ever warms up here. But I digress!! A martini must be ice cold. Be sure to get the glass icy cold first. The quickest way to chill a glass is by just filling it with ice water while you’re fixing the drink. Shake vigorously lots of vodka with ice and a splash of olive juice, or however much saltiness is to your liking!! I like about half a shot of olive juice. How easy is that?? Two shots worth of vodka is what I mean by lots. I suppose that’s not much of a recipe or a how-to, but it’ll do! They make these martini glasses so big. 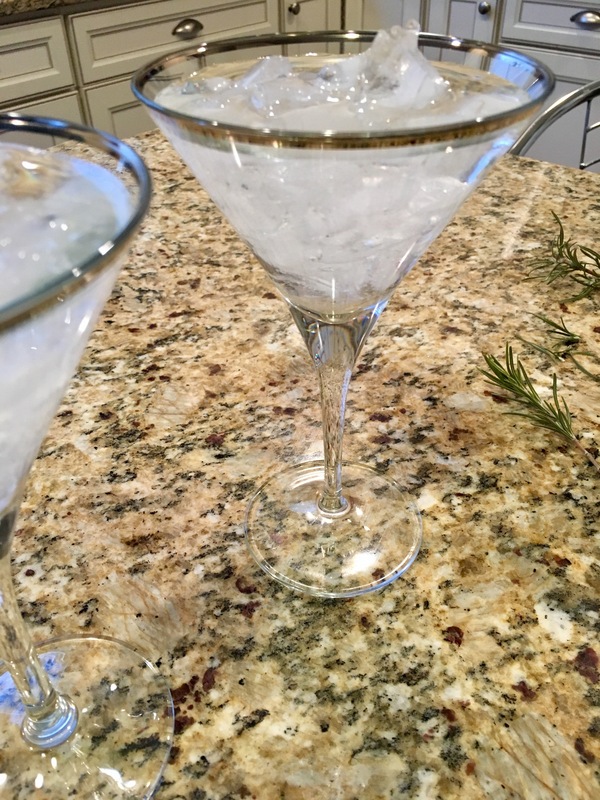 One homemade martini will definitely do the trick! I typically only tweet or instagram my drinks instead of writing more about them since they don’t really require much explanation, so keep an eye out on Twitter and Instagram!! !